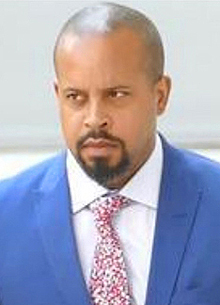 Lucius T. Outlaw III is an associate professor of law at Howard University School of Law. In addition to teaching criminal law and justice courses, Professor Outlaw is the supervising attorney of the law school’s Criminal Justice Clinic, where students represent indigent clients charged with misdemeanor offenses in D.C. Superior Court. Directly prior to joining the law school, Professor Outlaw was an Assistant Federal Public Defender with the Federal Public Defender’s Office of Maryland for eight years. As an AFPD, Professor Outlaw represented indigent clients charged with a variety of federal criminal offenses, especially fraud, political corruption, violent, firearm, and drug offenses. In 2013, Professor Outlaw was detailed to the United States Senate for one year to serve as counsel in the Judiciary Committee office of Senator Richard Durbin (D-Illinois). For the last two years of his tenure at the federal defender’s office, Professor Outlaw served as Senior Litigation Counsel. In that role, Professor Outlaw assisted with the management of the office’s staff, caseload, recruitment and hiring, attorney training, and policy setting and implementation. Professor Outlaw started his legal career as an associate with Williams & Connolly LLP in Washington, D.C. (2001-2004) and then with Mayer Brown LLP’s Washington, D.C. office (2004-2010). At Mayer Brown, Professor Outlaw was promoted to partner in 2009. Professor Outlaw is a graduate of Wesleyan University (B.A. ), the George Washington School of Political Management (M.A. ), and the University of Pennsylvania Law School (J.D. ).